Uganda leads the world in entrepreneurship with 28% of its working population working for themselves. The next closest country is Thailand at 17%. According to a GEM’s report on Ugandan entrepreneurship metrics, Uganda’s citizens “Have high aspirations and positive attitudes towards entrepreneurship. They have low levels of fear of failure, and the vast majority see good opportunities to start a business in the country.” So how high are these aspirations exactly? The GEM’s profile on the country lists its total early-stage entrepreneurial activity at 35.5%, compared to 13.8% in the United States. This metric measures the percentage of the adult (18-64) population who own a new business or will soon own one. The report also states that 77% of the Ugandan adult population believes that they have a good opportunity to start a business in the area where they live, and 85% think that they are capable enough to enter into a successful business venture. To help grow this spirit within the Rising Star Community, we gave our students a chance to start their own business in a competition to see who could come up with an outside the box business idea. 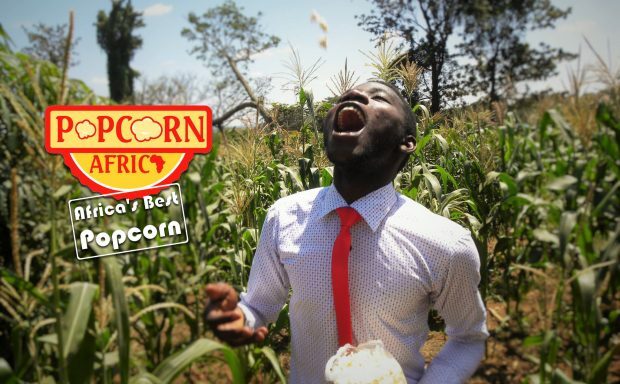 From that Popcorn Africa was created by Wasswa Samuel, a member of Rising Star since he was 12 years old. His idea was to create great tasting flavored popcorn, where most popcorn on the market was only salted and low quality. Rising Star loaned the startup cost to Wasswa at zero percent interest. When the loan is paid back, the funds will be used to start other businesses in the same avenue, giving hope to young people and empowering them for a brighter future.